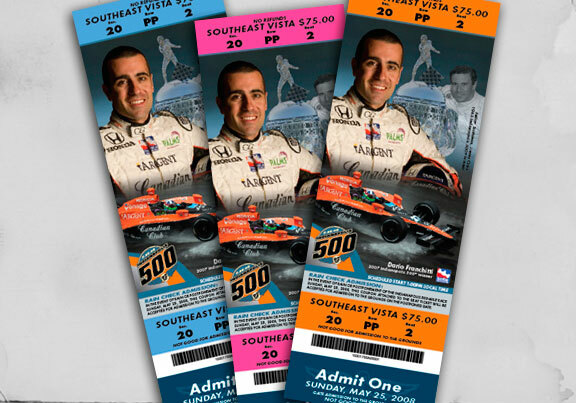 2008 Indianapolis 500 Race Ticket. Printed with spot UV over the water. Logo is embossed.